Isn’t this counterintuitive? The gas prices getting higher from right-to-left rather than left-to-right. 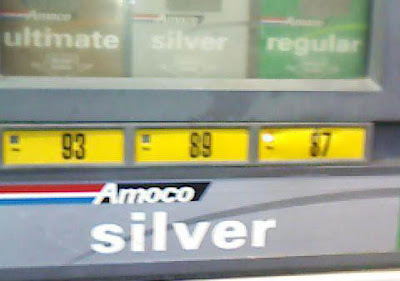 Wonder how many consumers filled up with premium by mistake because they assumed the one on the left was the cheapest? I don’t know about you all, but I’m getting tired of The Man trying to rip me off.